King 5 News is reporting on a 19-car train derailment that occurred outside Superior, Montana on Thursday. 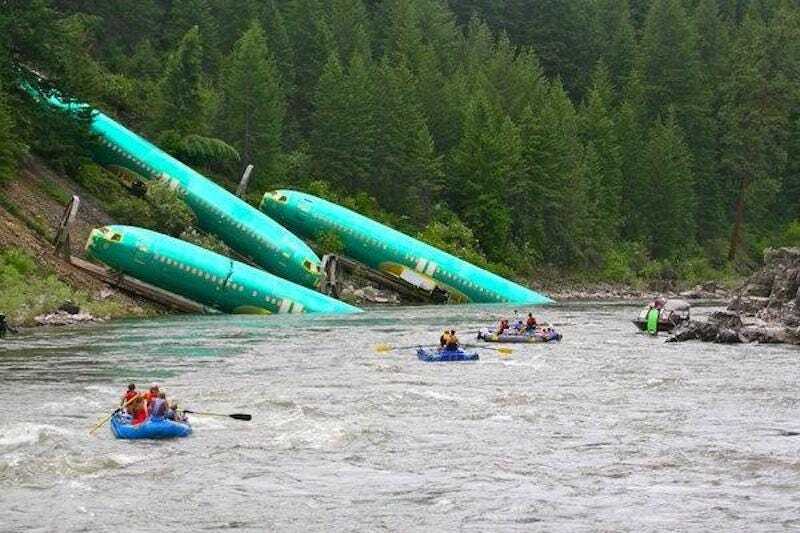 As a result of the derailment, three railcars that carried several Boeing aircraft fuselages plummeted into Clark Fork River. The aircraft parts were for 737, 747 and 777 airplanes. Watch the crazy video and read more about this at Roadtrippers.